Jeff Petry is a goner — that is pretty much a given. The writing appears to be on the wall for him. So what can the Edmonton Oilers expect to receive in return? And when should they go about trading the pending unrestricted free agent? The sooner, the better, because despite being an established top-four, right-handed defenceman — something Edmonton obviously needs both short- and long-term — Petry likely has no intention of sticking around Alberta, especially not after another embarrassing healthy-scratch situation this early in the new season. He has a salary-cap hit of $3.075 million for the current campaign and is free to sign anywhere next summer. Petry only turns 27 in December, he has good size at 6-foot-3 and 198 pounds, and great skating ability. He’s scored 13 goals and 59 points, to go with 107 penalty minutes, in 236 career NHL games, all with Edmonton. He’s an American-born former second-round draft pick, 45th overall in 2006, out of Michigan State University, by way of Ann Arbor, Mich. His father, Dan, used to pitch for the Detroit Tigers. There is a market for that kind of player, both now and as a trade-deadline rental, plus there’s potential for a blockbuster should Petry be packaged with a scoring forward like Nail Yakupov or Jordan Eberle. Not every team will be interested and it’s unlikely that he’d be dealt within the Pacific Division á la Ladislav Smid, but outside of that, there should be plenty of suitors — and there shouldn’t be any untouchables on Edmonton’s roster, with the Oilers (0-4-0-1) off to their worst start in franchise history. Jeff Petry’s days as a member of the Edmonton Oilers appear to be numbered. Be it days, weeks or months, the expectation is that Petry, a pending unrestricted free agent next summer, will be dealt prior to the trade deadline in early March. What the Oilers might want, or be capable of getting, in return is a matter of great debate. Assuming Petry is currently a wanted commodity, which should be safe to assume, then Oilers general manager Craig MacTavish needs to make the most of this asset. He needs a plan heading into negotiations, especially if he’s shopping Petry, which is also a safe assumption. You always want to have a targeted return in mind, and to deal from a position of strength in an attempt to address a weakness whenever possible. The winless Oilers evidently have more of the latter, but from the outside looking in, MacTavish could go about this in 5 different ways: trading Petry for an Elusive Centre, for a Non-UFA Replacement, for another Top Prospect, Packaged With Yakupov or Packaged With Eberle. I’ll throw out a handful of those BIG proposals a little later on — save the best for last — but start by seeing what Petry could fetch either on his own or with throw-ins to balance smaller deals. Surprise, surprise, the Oilers have a glaring hole at centre. That was obvious throughout the off-season, training camp, the pre-season and now into the regular season. So I would imagine MacTavish has come to his senses and is trying to trade Petry for an established centre of similar stature, especially after Ryan Nugent-Hopkins’ recent injury scare. He only missed two games, both lopsided losses, but had Nugent-Hopkins been sidelined for any length of time, the Oilers would have been doomed with Mark Arcobello thrust into the No. 1 role and prized prospect Leon Draisaitl already struggling to tread water as a sheltered No. 2. Arcobello would be hard-pressed to crack the roster for any of the league’s 29 other teams — yes, even Buffalo and Carolina (if the Staal brothers were healthy) — and Draisaitl would still be best served by following Darnell Nurse back to junior. But unless the Oilers can acquire an upgrade, they are likely to hang onto Draisaitl and waste the first year of his entry-level contract because demoting him only to recall Anton Lander from the minors would essentially be throwing in the towel on this season. Draisaitl only turns 19 on Oct. 28 and while he racked up 105 points in 65 games on a pretty bad junior team last season, he has only one assist (and a minus-4 rating) through 5 games on a really bad pro team. This, despite playing with former No. 1 overall pick Yakupov and big off-season signing Benoit Pouliot on his wings. Draisaitl is in over his head at this level and doesn’t seem to improving from one game to the next, at least not noticeably enough to warrant a permanent stay in that position. So MacTavish should, first and foremost, be looking to land that elusive centre. That might mean a stopgap like Vincent Lecavalier or Olli Jokinen, two guys who were readily available in the off-season with Philadelphia wanting to trade Lecavalier, while Jokinen was an unrestricted free agent who apparently received an offer from Edmonton before deciding to sign a one-year deal with Nashville. Lecavalier still has three more years (past this one) remaining on his contract, averaging $4.5 million per season, so that might be too much to take on considering Draisaitl should be ready for prime-time next season with prospects like Bogdan Yakimov and Jujhar Khaira also knocking on the door. Then again, the Oilers have a rich owner in Daryl Katz who seems willing to pay the price for success, even if that meant a future Lecavalier buyout. Would Edmonton be willing to take on Vincent Lecavalier’s contract, with three years remaining? If that term doesn’t scare off the Oilers, then this could be decent option in terms of improving the centre depth behind Ryan Nugent-Hopkins. 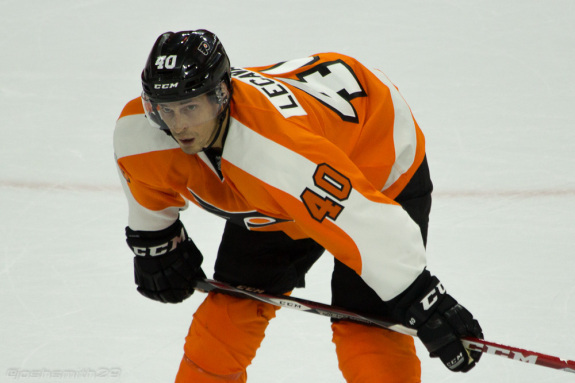 The Philadelphia Flyers are certainly open to trading Lecavalier, at least they were in the summertime, and the asking price is nowhere near what Lecavalier would have commanded in yesteryear. He’s not the same player or point-producer that he was during his prime with the Tampa Bay Lightning, but he’s a big guy who still thinks the game at a high level and could be a mentor to Edmonton’s trio of first overall picks, having been in the same boat in 1998. ANALYSIS: The Oilers get their big, proven No. 2 centre who would be capable of handling No. 1 minutes should Nugent-Hopkins get hurt again. It allows Edmonton to do the right thing in reassigning Draisaitl to junior for another year of seasoning. If that happens, I fully expect the Edmonton Oil Kings to trade for him, so he can develop in the Oilers’ backyard. Lecavalier could be a nice fit alongside Pouliot and Teddy Purcell for tougher assignments, while Yakupov could drop down to play with Arcobello and David Perron to maintain three scoring lines. Philadelphia has also been struggling to start this season and are dearly missing Kimmo Timonen’s presence on defence. Not that Petry will replace him, but he should be an upgrade on Michael Del Zotto and/or Luke Schenn. The Flyers targeted Andrew MacDonald from the Islanders as a pending UFA and then immediately locked him up long-term last season, so they could do the same with Petry. Lander would be competing with another former Oilers farmhand, Chris VandeVelde, for fourth-line duty. ANALYSIS: Nashville seems happy with its current defence pairings of Shea Weber-Roman Josi, Ryan Ellis-Mattias Ekholm and Seth Jones-Anton Volchenkov, but Petry would seemingly be an upgrade on Ekholm or Volchenkov and certainly on Victor Bartley. The Predators are much improved this season but couldn’t afford an injury on the back end, so Petry would at least provide nice insurance and depth there. Nashville is already very deep up front and with fellow free-agent signings Mike Ribeiro and Derek Roy fitting in, plus veterans Matt Cullen and Mike Fisher eventually returning from injuries, Jokinen could be the odd-man out. He’s similar to Lecavalier with a little less offence but a lot less commitment in terms of contract. The Oilers missed the boat on a couple other centre options in the off-season. Pouliot’s money would have been better spent on a middle-man like Mikhail Grabovski or David Legwand, the latter on a shorter term than Pouliot obviously, while one would think Petry could have been sent to the Islanders straight up for Josh Bailey before Garth Snow landed Johnny Boychuk and Nick Leddy in the same day. That Bailey ship has probably sailed now too. You can already see Legwand’s impact with the Senators in a support role, and everybody but MacTvish knew relying on Draisaitl, Arcobello and Lander to fill No. 2 and 3 centre holes was a mistake. That said, it may not be too late to right that wrong and save the season. 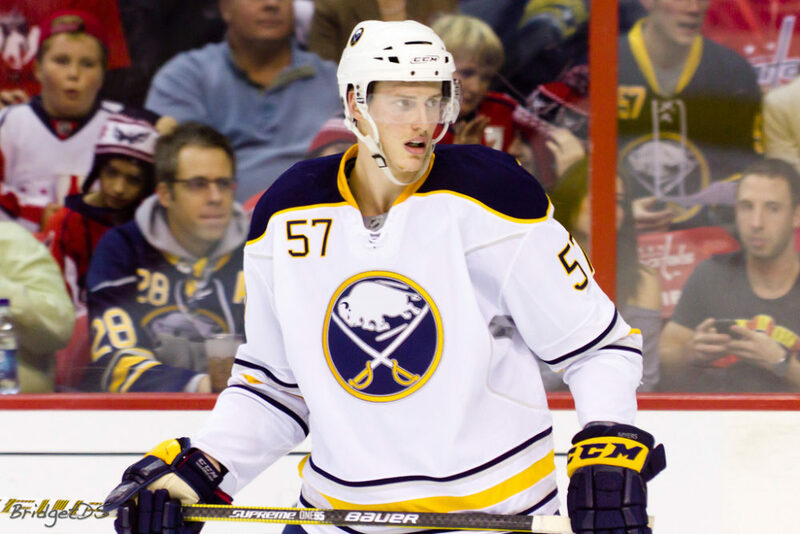 ANALYSIS: MacTavish’s first call should probably be to Detroit, which is reported to be actively and aggressively pursuing another right-handed blue-liner in Buffalo’s Tyler Myers, who is taller than Petry but otherwise plays a similar game. If the asking price is simply too steep for Myers, then Petry might make for a decent consolation prize. The Oilers could see veteran centre Stephen Weiss — although injury prone and a healthy scratch for the Red Wings so far this season — as another “bridge” guy until Draisaitl is ready to handle big minutes in the big league. Problem is, Weiss also has three more years at $4.9 million per, and he has a partial no-trade clause that he likely wouldn’t waive to go to Edmonton. If he gets tired of sitting on the sidelines, perhaps he’d consider that move to resume his career. Detroit throws in a pick because it is desperate to acquire a defender like Petry and Edmonton demands an extra asset in case Weiss requires a buyout. Otherwise, it’s a fair swap that fits the bill for both teams. The hang-up here would be Weiss’s willingness to waive for Edmonton, but the dicussions could go in another direction as well (stay tuned). ANALYSIS: MacTavish has probably already fielded an incoming call, or rather had an in-person conversation with his old boss, Glen Sather of the New York Rangers. Sather was just in Edmonton for a reunion of the 1984 Stanley Cup-winning team and although MacTavish wasn’t on that roster, he did win four Cups under Sather with the Oilers in 1987, 1988 and 1990, then with the Rangers in 1994. So you can bet that amidst all that reminiscing, Petry’s name probably came up in trade talks. The Rangers just lost off-season signing Dan Boyle for 4 to 6 weeks with a broken wrist and have been forced to dress Matt Hunwick or Mike Kostka as a replacement, which is causing them to lose ground in the Eastern Conference. Petry is significantly better than both and would ultimately be competing with Kevin Klein and John Moore for a roster spot assuming the top-four of Boyle-Ryan McDonagh and Dan Girardi-Marc Staal were all healthy. The Oilers only make this deal if their scouts believe Miller is ready (or more ready than Draisaitl) to play top-nine minutes in the NHL right now. They wouldn’t want Miller as a minor-leaguer, so they would have to be confident that he’s better than Lander or Yakimov. McIlrath is the kind of tough-as-nails shutdown defender the Oilers could use in the future, a bigger, stronger version of Keith Aulie. But if the Rangers refused to part with him, then puck-moving blue-liner Mat Bodie, who captained Union College to an NCAA championship last season, or Buchnevich, a talented forward putting up nice numbers and highlights in the KHL, would be Plan-B targets. The Rangers would certainly entertain the idea of acquiring Petry, but I’m not sold on Miller being an attractive enough main asset to get a deal done. There are seemingly better options out there, such as . 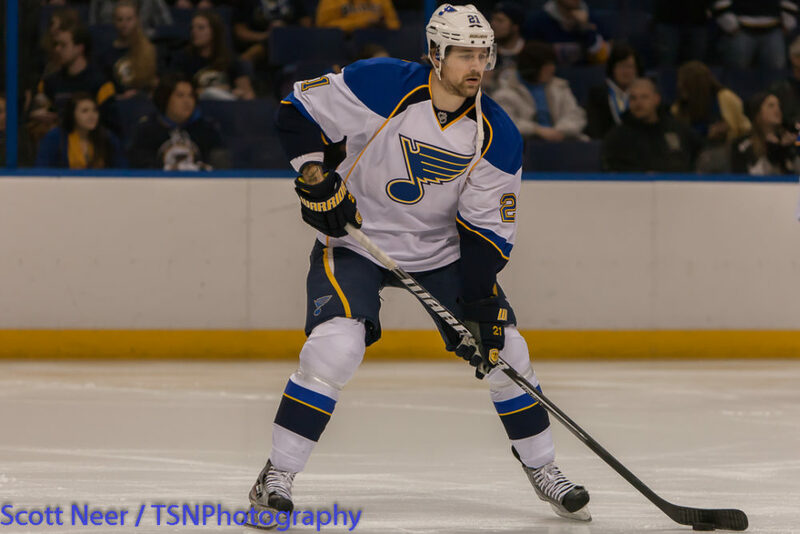 . .
Patrik Berglund of the St. Louis Blues is another centre that the Oilers could (and should) be interested in. Whether the Blues have interest in Petry is probably the bigger question, but if St. Louis had a defenceman go down to injury, then that swap could work out for both sides, considering the Blues have an abundance of forwards. ANALYSIS: MacTavish already plucked one productive top-nine forward from the Blues in Perron, so he could certainly go back to that well again. Berglund is a natural centre with size, at 6-foot-3 and 217 pounds, and decent offensive upside at only 26 years old. Because St. Louis is so deep down the middle, Berglund has shifted to the wing alongside David Backes and T.J. Oshie on the top line. St. Louis could afford to move Berglund (whose name has surfaced in trade rumours) with former Oiler Magnus Paajarvi there as a healthy scratch, plus top prospects Dmitrij Jaskin and Ty Rattie on the cusp of making the NHL. The Blues are fairly deep at every position, including defence, but Carl Gunnarsson hasn’t debuted due to injury and Jordan Leopold has been an injury risk in recent years as well. Petry would be in a battle there for regular minutes, but he’d provide a nice depth option for the Cup-contending team. The Oilers would probably see Berglund as a perfect fit for the second line this year and perhaps third line going forward, depending where Draisaitl slots in next year. Edmonton has to throw in a pick to get its preferred guy, and to make up for the Perron fleecing from last summer. ANALYSIS: Buffalo’s defence could definitely use a guy like Petry, especially if they plan on moving Myers. I’m not sure if the Sabres are ready to give up on Grigorenko — I think they plan on giving him another long look after sending Sam Reinhart back to junior — but if they are willing to move him, the Oilers should definitely be all over that. Grigorenko could be a great centre for Yakupov for the next decade in Edmonton, which has become a hotbed for Russians in recent years. Lander could turn into a nice depth forward for Buffalo, alongside fellow Swede Johan Larsson, while Pysyk is a former Oil King that Edmonton probably covets. Grigorenko’s potential and Petry’s UFA status forces the Oilers to add that top-60 pick in a deep draft. I could also see a simple Lander-for-Pysyk swap in the offing, or as a buddy suggested a bigger blockbuster with the Yakupov-Grigorenko reunion taking place in Buffalo not Edmonton . . . ANALYSIS: Similar to the Rangers’ deal, the Oilers would be taking a chance on Pirri being a top-nine option (like Miller). The Panthers could use another veteran defenceman and Petry would probably be open to signing long-term in Florida (who wouldn’t? Assuming the Panthers aren’t on the move). Florida signed Shane O’Brien to a two-way contract as veteran depth, but Petry would be an immediate upgrade on youngsters Dylan Olsen and Colby Robak, either of whom could be part of the return if Edmonton isn’t as high on Petrovic as I am from his Red Deer Rebels days. Pirri is similar in a lot of ways to Arcobello, but probably has a higher offensive upside, having put up 14 points in 21 games with the Panthers to end last season. He’s been a healthy scratch to start this season and Petrovic is still in the minors, but he’d give Edmonton yet another decent defence prospect in hopes that at least a few of them — counting Nurse, Martin Marincin, Oscar Klefbom and Dillon Simpson — make the jump at some point next year. If Edmonton is lukewarm on Pirri, then these trade talks could be expanded to include bigger names as well. ANALYSIS: This one just seems too easy, and those deals rarely come to fruition. Brodziak is on the block and a former Oiler who could centre the fourth line, bumping Boyd Gordon to the third and Arcobello to the second, although that depth chart isn’t pretty. Petry would be a solid depth addition for the Wild, who have the likes of Keith Ballard and Nate Prosser on their roster, along with up-and-comers Mathew Dumba and Christian Folin, who could both benefit from an AHL stint with top-pairing minutes. Edmonton might prefer the more offensive Michael Keranen, a 24-year-old who was a point-per-game guy in the Finnish league last season (52 in 52), or perhaps even Cody Almond over Brodziak, who comes with a $3-million contract. ANALYSIS: Same idea here, Sheppard is an upgrade over Lander for the fourth line, while Petry might be better than Scott Hannan, Matt Irwin, Justin Braun or even Jason Demers. He’s comparable to the latter three and would also give San Jose the option of returning Mirco Mueller to junior like Edmonton did with Nurse. The Sharks are going for it this season, one last kick at the can with their current core, and Petry could help put that team over the top. The 2nd-rounder is a nice asset for a guy the Oilers weren’t keeping past this year, anyway. But San Jose is in the Pacific Division, something I mentioned Edmonton would want to stay away from. And let’s be honest, as realistic as these last two proposals might be, they make for pretty boring trades, and we’re really scratching the barrel now for centre options, so perhaps it’s time to switch gears. 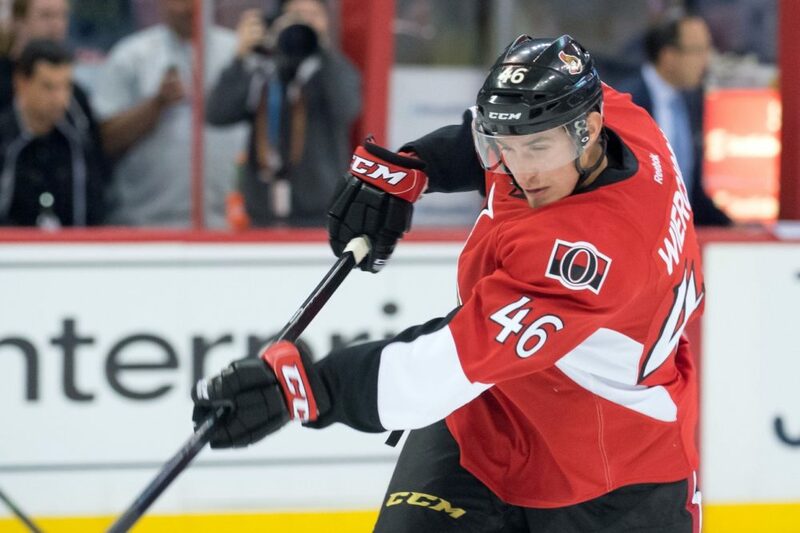 If the Oilers opt for a defence swap, then Patrick Wiercioch of the Ottawa Senators might be worth inquiring about. He’s bigger and more offensive-minded than Petry, but not as complete of a player at this stage of their careers. Edmonton and Ottawa could take their trade discussions in several different directions should Craig MacTavish and Bryan Murray spark up a conversation. ANALYSIS: Time to get Ken Holland back on the horn. Jakub Kindl is a guy that, for some reason or another, Mike Babcock isn’t a huge fan of. Babcock also made it clear during the Olympics, and by picking Marc-Edouard Vlasic for Team Canada, that he prefers defencemen to play their natural side (the way they shoot). Kindl is left-handed and Petry is a rightie, which might make sense from that standpoint. Petry for Kindl probably isn’t fair as a straight-up swap, with Petry being the slightly better player at present. So why not exchange prospects as well, with the Red Wings adding another defender, something they are short on, while the Oilers get the kind of forward they could use in the system. Gernat and Pulkkinen are both boom-bust types with high ceilings, while Bertuzzi is a big body who plays a lot like his uncle Todd as a power forward. Pulkkinen is a pure sniper, so take your pick between them if you’re MacTavish. ANALYSIS: Talk about killing two birds with one stone. Wiercioch is a big, young guy with offensive potential at 6-foot-5 and 24 years old. The Senators appear to be showcasing him for a trade by scratching former first-rounder Jared Cowen as of late. Smith is a serviceable bottom-six centre, who is probably better than Brodziak or Sheppard as previously proposed. This deal would see the Sens get their pick back, which they had given up for Ales Hemsky in a failed push for the playoffs this past spring. Petry would bring added experience to Ottawa’s overall young blue-line and might be more willing to sign there than Marc Methot, another pending UFA. Perhaps a Petry-for-Methot swap could work as well. There are plenty of options when it comes to trading with Ottawa, especially once you throw Eberle’s name into the mix. Adam Larsson appears to be caught up in a numbers’ game in New Jersey, with the Devils preferring fellow young blue-liners Eric Gelinas, Jon Merrill and rookie sensation Damon Severson over the former fourth overall pick from 2011. Back then, the Oilers, or at least their fans, were torn between Larsson and Nugent-Hopkins with the first overall pick before selecting the latter that year. So it’s conceivable that interest would remain to this day, and that Edmonton could come calling about Larsson while offering up the more experienced Petry. 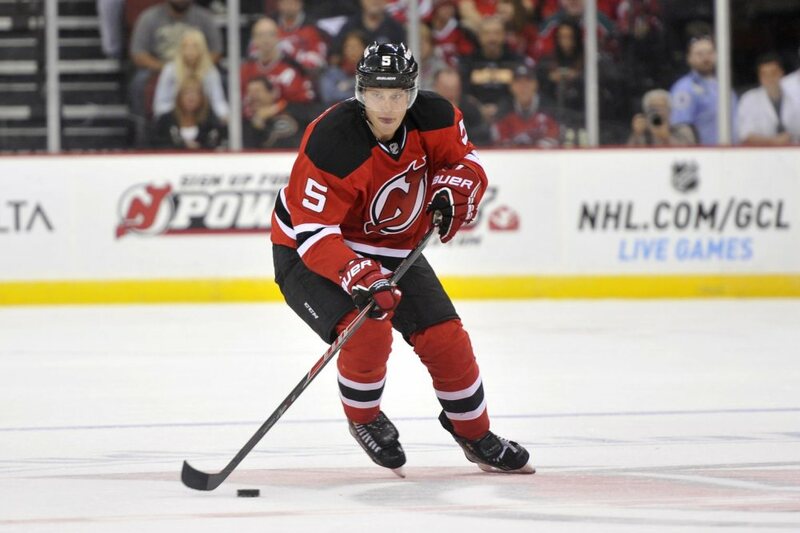 ANALYSIS: Larsson seems to have fallen out of favour in New Jersey, and Damon Severson’s emergence is making it tough for him to crack the lineup. The former fourth overall pick in 2011, who many Oilers fans preferred to Nugent-Hopkins at the time, has been a healthy scratch to start this season. The Devils have a young defence pairing in Eric Gelinas and Jon Merrill, so Petry could slot in alongside either of them with the other taking Larsson’s role as the extra body. Pitlick a depth forward prospect that the Devils don’t necessarily have a lot of, and they would also add a 2nd-rounder in 2016 that could still be a top 40 pick if Edmonton doesn’t improve much by then. For the Oilers, this is a good time to buy low on a player with Larsson’s potential. Not to compare him to Victor Hedman, but the fellow Swede took a few years before breaking out with Tampa Bay and Larsson could get a new lease on life in Edmonton. Larsson could also be paired with another Swede in Klefbom as early as next year. Tootoo might be the kind of energy player the Oilers need to stir things up on their fourth line. Jesse Joensuu currently has that role, but Tootoo is even better at getting under the opposition’s skin and at throwing open-ice hits to ignite the crowd and his teammates. Tootoo is also a better fighter, if need be, and probably a better player than resident tough-guy Luke Gazdic, who remains on injured reserve. Tootoo is more of a middleweight, though, so he wouldn’t render Gazdic useless when it came to heavyweight tilts. ANALYSIS: Same idea here, as far as targeting a talented young blue-liner that hasn’t lived up to expectations with his current team. Murphy has a very high offensive ceiling, higher than Justin Schultz, but the 21-year-old has been a liability in his own zone at the NHL level, so some patience would be required in his ongoing development. Petry seemingly could be a good fit in Carolina short- and long-term, Pitlick should be able to find an immediate role there, especially with all the Hurricanes forward injuries, and Gernat gives them a new high-risk, high-reward project. It seems fair enough, to me, at face value. Larsson and Murphy aren’t necessarily prospects, by definition, anymore, but they are close enough that if Edmonton is going down that road, it might as well explore all of the possibilities. ANALYSIS: This deal only works if Chicago clears more salary elsewhere, because the Blackhawks are still bumping up against the salary cap even after trading away Leddy. Petry would be a good Leddy replacement and more of a veteran presence over some of the kids Chicago currently has on its back end, including Trevor Van Riemsdyk. JVR’s little brother leapfrogged Clendening on Chicago’s depth chart and the Oilers might try to swoop in and steal him now that Chicago also added Ville Pokka in the return for Leddy. Rundblad is another option, once thought to be the second-coming of Erik Karlsson. He didn’t pan out with the Senators or Coyotes and has been in and out of the lineup with the Blackhawks. McNeill is an Edmonton kid, a big centre comparable to Khaira who played in Prince Albert prior to Draisaitl. Edmonton probably only adds that pick if it’s for Clendening. ANALYSIS: Not that the Oilers should be trading defencemen for forwards, but both Rattie and Jaskin are very close to being NHL-calibre contributors and both have been big-time scorers at the junior level. Jaskin is bigger and more powerful much like Bertuzzi from that previous Detroit deal, while Rattie is a lot like Pulkkinen in that he possesses a wicked shot that could nearly rival Yakupov. Speaking of Yakupov, and Eberle for that matter, bringing in a forward with this kind of upside could make either of them expendable going forward. If the Oilers were to seriously entertain trading Nail Yakupov, along with Petry, could Tyler Myers of the Buffalo Sabres be on their radar? They have long liked the lanky former Calder Trophy winner who seems to be rediscovering that form slowly but surely this season. Parting with Yakupov this early in his career could come back to haunt Edmonton, but if Myers reaches his once lofty potential, then it could very well be a wash and a win-win for both teams. ANALYSIS: Bjugstad could be that big (he’s 6-foot-6) offensive centre to play behind Nugent-Hopkins. Add in Draisaitl next season and Edmonton is suddenly quite deep and talented down the middle. Upshall wouldn’t replace Yakupov over the long haul if Yakupov ever reaches his Bure-lite potential — that’s a big IF right now — but Upshall is a very serviceable player who competes with much the same edge as Perron. Petry is presently an upgrade over Olsen or Petrovic, whoever the Panthers want to part with in this deal. Florida is “potentially” getting the best player given Yakupov’s 50-goal upside, but Edmonton is addressing a couple needs and probably emerges as a better team shortly after pulling the trigger. ANALYSIS: This one wasn’t my idea and I can’t take credit for it. A friend proposed it to me and I liked it enough to include it. The Sabres are listening to offers on Myers and I’d assume the Oilers are doing the same in regards to Yakupov, even if neither team is necessarily “trying” to unload their guy. Myers has seemingly improved this season — he’s only minus-1 on the season and has nine shots on goal in his last two games — while Dallas Eakins has been pumping Yakupov’s tires as a “totally different player” despite his less-than-flattering stat-line of just 1 goal, 2 points and a minus-6 rating after 5 games. Those positive comments might be an attempt to boost his confidence, or his trade value. Both teams would technically be selling low, which might actually make for a fair-ish swap, although Yakupov, the top pick from 2012 who just turned 21 this month, is still the more coveted asset league-wide I would assume. The Oilers could pair Myers with Nurse as twin towers in the future, while the Sabres get an explosive sniper to help sell the game in Buffalo and possibly pair with Connor McDavid (or Jack Eichel) as early as next season. Petry is a temporary Myers replacement who could be monitored between now and the trade deadline and if not deemed worthy of extending, then could be flipped for another futures asset much like Buffalo did with Matt Moulson last year. Chris Stewart is also a pending UFA but a player the Oilers would likely want to lock up ASAP. As mentioned more than once, Edmonton could use a true power forward, besides Taylor Hall, in their top six. Stewart has scored 28 goals in the past, so he’s more proven than Pouliot (carrer-high 16 goals) when it comes to putting the puck into the net. Girgensons, on the other hand, is a 20-year-old, 6-foot-2 Latvian centre who has only scored 10 goals in 76 career games to date, but the sophomore has shown enough promise to perhaps be a more desirable target than Stewart. Eberle, despite only having 2 assists through 4 games this season, might also be a more desirable addition than Yakupov right now, especially for playoff contenders as Eberle’s always been a clutch player (remember his world-junior heroics for Canada?). ANALYSIS: Edmonton fans might not be too thrilled about a trade like this because it comes across as quality for quantity. There’s no disputing that Eberle is the best, or most accomplished player in the deal. He’d probably be the perfect fit alongside Jamie Benn and Tyler Seguin, or next to Jason Spezza and Ales Hemsky for that matter. Eberle would put the Stars’ top six right up there with the league’s best. Eakin is buried a bit further down the depth chart in Dallas since Spezza’s arrival, but he’d probably be capable of playing second-line centre in Edmonton and be more productive than Draisaitl for at least this season. And if not for the dropped “s”, Eakin could also pass for the coach’s long-lost, red-headed son. On a more serious note, the Stars seem fairly happy with their young defence thus far, or they were prior to Saturday’s 6-5 overtime loss to the Flyers. Petry would give them more experience and above-average, two-way ability, while Connauton could be a poor man’s Petry back in Edmonton, which happens to be his hometown. Connauton played junior for Edmonton Oil Kings coach Steve Hamilton, so he’d be able to provide a good scouting (and character) report as well. Ritchie is another big-bodied winger with top-six potential, a rich man’s Pitlick if you want a comparable. Adding an extra top-90 pick in a deep draft after not having a 2nd- or 3rd-rounder in 2014 would also be beneficial, and it wouldn’t be surprising if the Oilers used it to select Vladimir Tkachev, who is draft-eligible again after NHL officials rejected Edmonton’s attempt to sign him out of training camp. So in that context of Eberle and Petry for Eakin, Connauton, Ritchie and Tkachev, this deal doesn’t seem so shabby after all. ANALYSIS: Luke Schenn is believed to be every bit as available as Petry and both could use a change of scenery. Eberle is slightly better than Brayden Schenn at this point in their careers, and both would again be better fits (on paper) with their new teams. Ditto for Pitlick and Hagg. As far as playing matchmaker goes, this blockbuster seems to make a lot of sense for both teams, even more so than the previously proposed Lecavalier deal. 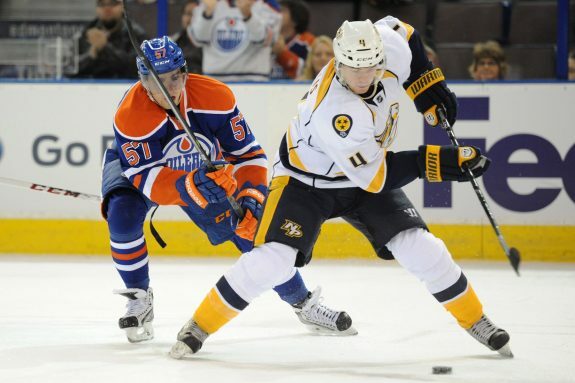 Ryan Ellis, right, is a player that I’ve long suspected would end up an Oiler at some point in his career. Call it a gut feeling, but based on his history with Taylor Hall from their Memorial Cup-winning junior days with the OHL’s Windsor Spitfires, I think Ellis could give Edmonton’s blue-line a sizeable boost even though he’s a bit undersized. With Ellis recently inking a long-term pact with the Predators, it would likely take more than Petry to pry him out of Nashville. If MacTavish were to mention the name Jordan Eberle, he’d have David Poile’s full and undivided attention as they got down to details. ANALYSIS: Prior to the season, I tossed out the idea of Petry-for-Ellis and I still think something around those two could work, although with Ellis now extended long-term at a reasonable rate, the Oilers would surely have to add an asset. If that asset was Eberle, then the shoe would be on the other foot, with Nashville having to pony up quite a bit. Eberle is a nice complementary player and would probably click with James Neal and Mike Ribeiro to give the Predators a legitimate top line. Wilson has never clicked in Nashville for some strange reason, as he seems to be a perennial breakout candidate that never takes that leap in production. Perhaps he could get to the next level in Edmonton, and the Oilers would be wise to insist on Sissons’ inclusion as another guy who could slide into their top-nine and allow for Draisaitl’s demotion. I’m a bit partial to this one from an Edmonton perspective, just because I’ve always been a fan of each player the Oilers would be getting back. ANALYSIS: I planned to stop at 20 proposals, figuring that was more than enough, but considering No. 17 wasn’t mine, I decided to throw in an extra one for good measure. This would be another big shake-up, changing the complexion or strength of Edmonton’s roster in the process. Ben Scrivens isn’t looking like a long-term solution in goal and Laurent Brossoit still has his share of critics too, so acquiring Lehner would be a smart move. Ottawa is sharing the crease so far, with both Lehner and Craig Anderson looking good, and both having signed 3-year extensions this summer. The Senators would be dealing from a position of strength here and Fasth, when healthy, could be a competent backup for Anderson, while Lehner would have an easier time supplanting Scrivens. Eberle would again look good alongside Kyle Turris and Clarke MacArthur, an obvious upgrade on Mark Stone, who could slide back down to play with Legwand or rookie Curtis Lazar. Cowen is similar in a lot of ways to Myers, but maybe a little less mobile and a little more physical. Likewise, Cowen would form an intimidating pair next to Nurse in the future. Smith plugs an immediate centre hole, while Puempel is in the same sniper mould as Pulkkinen and Rattie. Edmonton could take its pick between the two in this case. All that said, I’m still not convinced trading Petry, especially for a prospect or a downgrade, is the best course of action for the Oilers, but reality is, he’ll leave on his own terms if they don’t move him in the meantime. So you do what you’ve got to do in that predicament, and just move on. 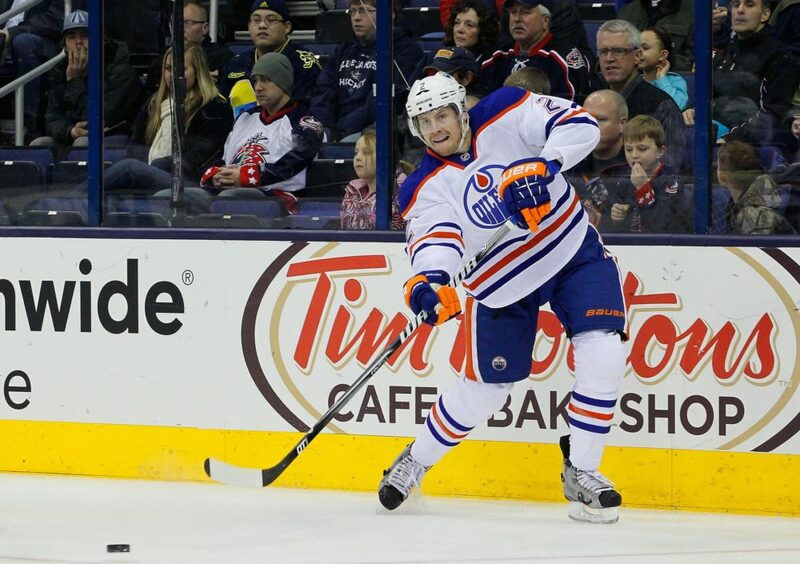 If Edmonton does indeed move Petry and doesn’t get a replacement in return, its defence would be down to Nikita Nikitin-Mark Fayne, Andrew Ference-Marincin, Schultz-Brad Hunt/Klefbom/Keith Aulie, which is a little thin for my liking. However you look at it, the Oilers just don’t have the depth at any position to withstand injuries or truly compete for playoff spot this season. That’s the sad truth their fan base is coming to grips with yet again after already missing the playoffs for eight consecutive seasons, which is the NHL’s longest current post-season drought. With a Petry trade seeming inevitable at this point, Edmonton’s best bet for increasing his stock would be to reunite him with recently recalled Marincin. They had success together to end last season, and that version of Petry would have been garnering plenty of interest. This year’s version has been very hit-and-miss, as evidenced by his sudden scratching and mediocre return to the lineup against Vancouver on Friday. Petry looked pretty foolish in getting burned wide off the rush by Canucks winger Zack Kassian, who isn’t a renowned speedster by any stretch of the imagination. If not for that blatant blunder, I might have broke my Pacific Division rule again and proposed something around Petry for Jacob Markstrom and a pick, because the Canucks could use another experienced defenceman and the Oilers are still hurting in goal with Fasth’s wonky groin giving him more grief. Throughout this brainstorm session, I also kept thinking the Oilers could do worse than bringing back Jarret Stoll and Matt Greene, the type of character (and Cup-winning) players this roster is lacking and two guys MacTavish is familiar with from having coached both during Edmonton’s run to Game 7 of the 2006 Stanley Cup final, losing to the Carolina Hurricanes and not getting a sniff of the playoffs since. But Stoll and Greene are pretty entrenched with the defending champs and seem to be keepers for the Los Angeles Kings, so that’s happening any time soon. It no doubt adds salt to the wound when what you really need is something you’ve already had but let get away. Could that same implication be made for Petry in a year or two? Anything is possible, but I think the Oilers can survive just fine without him going forward, especially once the kids take hold of roster spots. Looking back on all 21 proposals and putting myself in MacTavish’s shoes, I’d personally lean towards 5, 12, 17 and 20, oddly enough in that order, as my top four (because I couldn’t settle on just three). Feel free to do the same, and let me know which moves you’d pursue or prioritize as general manager of the Oilers? Or which deals you’d steer clear of, and why? Of these proposals, which do you feel are the most realistic and/or farfetched? Do you see Petry as trade bait in the near future or at the deadline? Maybe you have a better idea altogether that I’ve somehow overlooked in scouring the other 29 rosters (or rather 23, excluding the Pacific Division)?